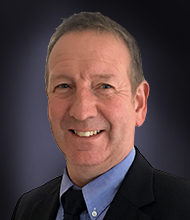 Keith, who has over 35 years’ experience in a senior position was educated at Bablake School, Coventry and the University of Reading where he graduated with an honours degree in Estate Management (Rural Option). In the following year he added a postgraduate urban valuation qualification. In 1980 he qualified as a chartered surveyor and as an Incorporated Valuer and Auctioneer (ISVA) which has since merged with the Royal Institution of Chartered Surveyors (RICS). Until more recent structured changes within the RICS, he was a member of both General Practice (GP) and the Land Agency and Agricultural divisions. In 1987 he was admitted as a Fellow of the RICS. In 1981 Keith became a full equity partner of John Briggs & Calder. In 1998 he merged the practice of John Briggs and Parsley (as it become known) with that of Shortland Horne where he was a director and shareholder. Subsequently the practice de-merged with Shortland Horne, but it continues to have a close association with the company. He had practiced independently as Shortland Parsley since 2000. In 2017 Keith was joined by his son James to form a new partnership which continued to practice as Shortland Parsley. Keith is currently a member of the following RICS Professional Groups: Valuation, Commercial Property, Residential, Rural, Management Consultancy, Taxation Allowances and Dispute Resolution. He is an Associate of the Chartered Institute of Arbitrators, a member of Arbrix and of the Standing Conference of Mediation Advocates. He has been included on the President of the Royal Institution of Chartered Surveyor’s Panel of Independent Experts. He is able to act as an independent expert/arbitrator and has provided evidence in connection with tribunals and court proceedings. 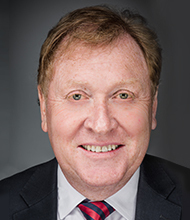 Keith is an RICS Registered Valuer authorised to undertake formal valuation reports for inheritance and capital gains taxation, rent review, insurance, matrimonial and other purposes in accordance with RICS Valuation – Professional Standards, also known as “The Red Book”. For 23 years Keith was an RICS APC panel assessor, for the most part acting as chairman. The Assessment of Professional Competence is the final academic hurdle for post graduate surveyors applying for professional membership of the Institution following a structured period of training. James Parsley was educated at Bablake School, Coventry. He obtained an honours degree from the University of Bangor. Subsequently, James was awarded a Post Graduate Diploma in Surveying with Distinction from the University of Reading. James is a qualified Chartered Surveyor and also a RICS Registered Valuer, authorised to undertake formal valuation reports for inheritance and capital gains taxation, rent review, insurance, matrimonial and other purposes in accordance with RICS Valuation – Professional Standards, also known as “The Red Book”. 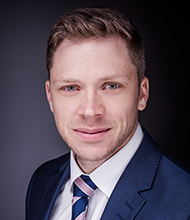 James has a particular interest in property management, service charge schemes and landlord and tenant issues in respect of which he has developed a strong clientele. James, a former Associate of Shortland Parsley, has recently become an equity Partner of the firm. David Shortland was born and raised in Coventry. In 1972 he was articled to Robinson Osborne & Moules (‘ROM’). He qualified as a chartered surveyor in 1980, becoming a partner in 1982. ROM was a respected and established local firm of chartered surveyors specialising in all types of commercial, residential and agricultural property with a substantial management department. In March 1989 David was appointed a Fellow of the Royal Institution of Chartered Surveyors and in September of the same year he was appointed a main board director of Countrywide Surveyors following the company’s acquisition of ROM. In 1994 David was appointed a main board director of Countrywide Commercial. 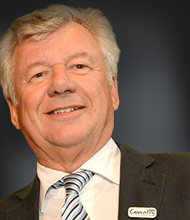 In May 1995 David left the company to form Shortland Horne Ltd, where he is currently chairman. David was awarded an MBE for his services to the community in Coventry and Warwickshire, having spearheaded the £17 million redevelopment of the Belgrade Theatre, where he served as director and chairman for 10 years. He has also served local charities. Antony qualified as a Chartered Building Surveyor in 1985. He spent time working in the public sector before gaining experience in the private sector. In 1992 Antony established his own practice dealing with all aspects of building surveying. The growth of the practice resulted in a sound client base and considerable experience within the licensed trade, dealing with public houses, large nightclubs and licensed premises. In 2000 Antony became the managing director of Cresswell Property Surveys Ltd, operating from his base in Leicestershire. With his range of building surveying skills, he deals with all aspects of his profession including large building surveys and schedules of dilapidations and condition.